Weekend mornings have always been my favorites. Usually I like to go to yoga on Saturday mornings, but on Sundays I like to take it reeaally easy. Just recharge, relax and eat good food. I love making breakfast (and also eating it, lots of it!) 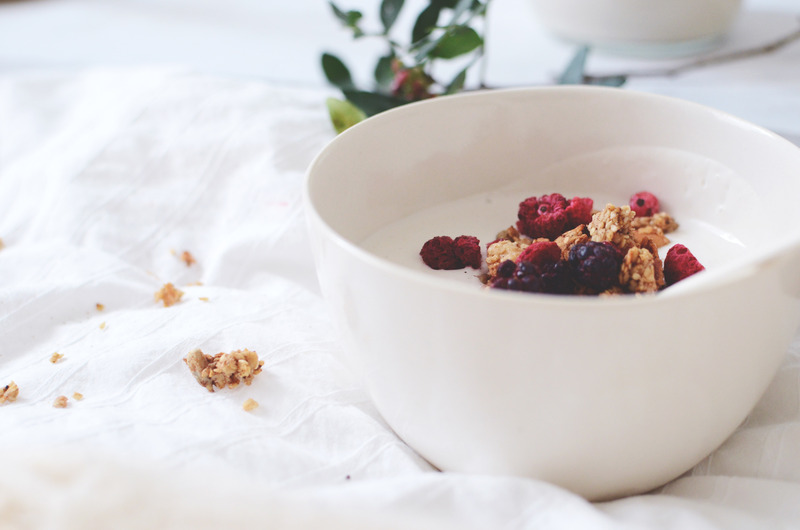 and weekends are perfect for putting a bit more effort into your breakfast routine. Weekends are also perfect for hanging out in pyjamas, reading in bed and eating breakfast, that slowly turns into lunch. 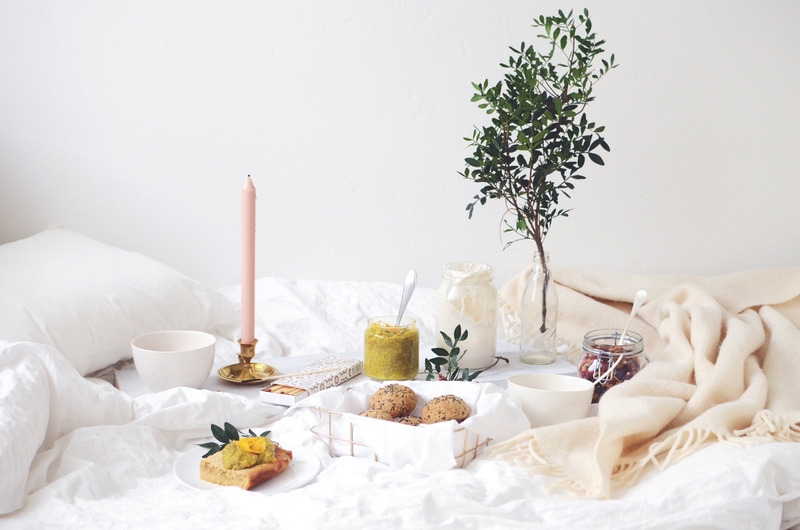 To celebrate those much needed laid back mornings, we wanted to create something special with the lovely Virpi behind Vanelja, one of my favorite blogs. 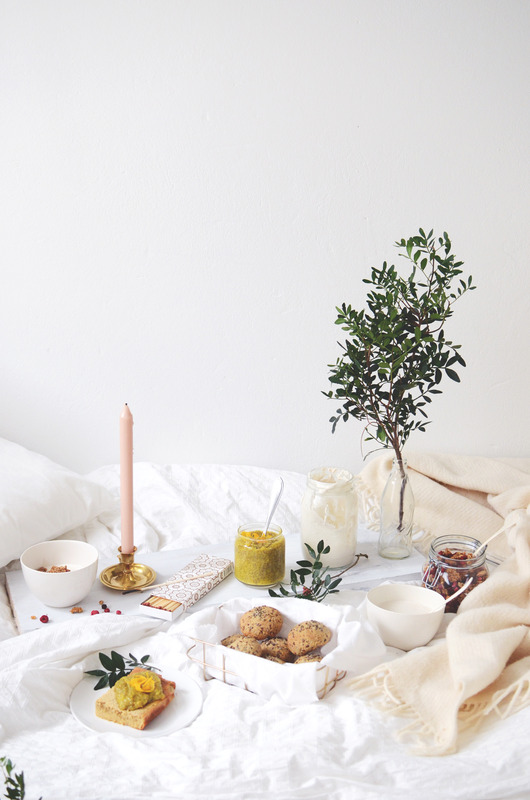 So here you have it, six delicious recipes for the perfect breakfast in bed! There’s hemp bread rolls, almond berry granola, green juice, lemon pancake, orange blossom chia jam, and almond milk yogurt. Honestly, I thinks we covered everything you’ll ever need after waking up. If you’re not into spending the whole morning in the kitchen, you can always prepare part of the recipes beforehand. The granola, the jam, yogurt and bread rolls can easily be made the day (or even couple) before. And te recipes will make you plenty of goodies to enjoy, so you’ll have some luxurious leftovers for the following mornings too. 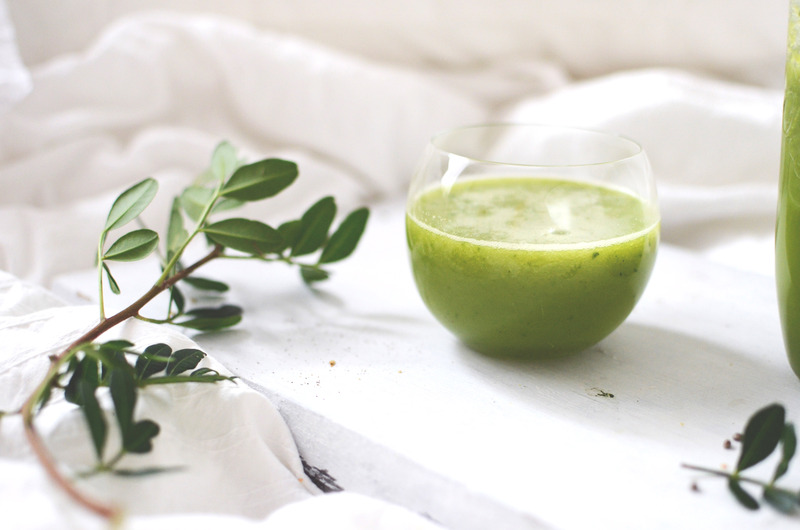 You’ll find the recipes for the green juice, berry almond granola and lemon pancake in this post, whereas the recipes for the hemp bread rolls, orange blossom chia jam and almond milk yogurt can be found in Vanelja, so check them out there! Rinse the spinach and the apples and peel the kiwis. Put all the ingredients through your juicer, pour into glasses, stir and add a couple of ice cubes. You could also make this by using a blender, if you don’t mind ending up with a smoothie instead of juice. 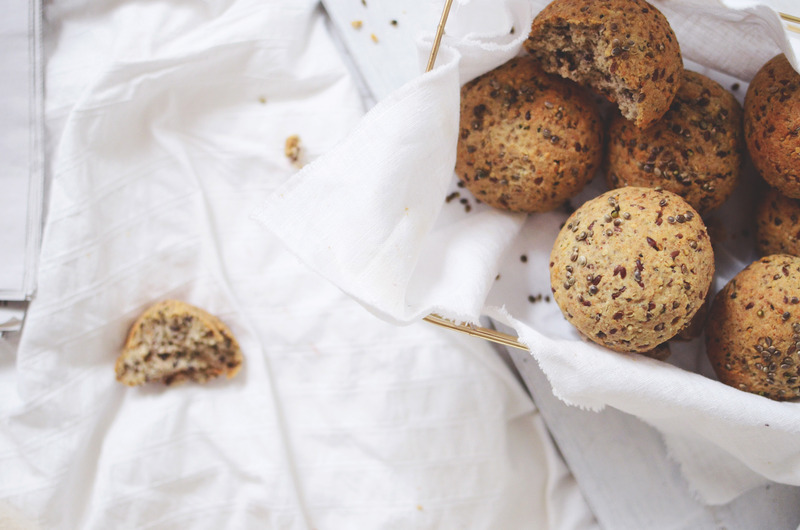 The recipe for these gluten-free bread rolls is at Vanelja. 1. Preheat oven to 200 °C / 400 °F and line a baking tray with baking paper. 2. Mix all dry ingredients and spices together in a big bowl and set aside. Melt the coconut oil at low heat and add the oil, applesauce and honey to the dry ingredients. Stir until coated and chunky. 3. Spread the granola in an even layer on a baking tray and bake for about 25 to 35 minutes. Stir after 15 minutes to get an even color. Allow the granola to cool completely before serving. 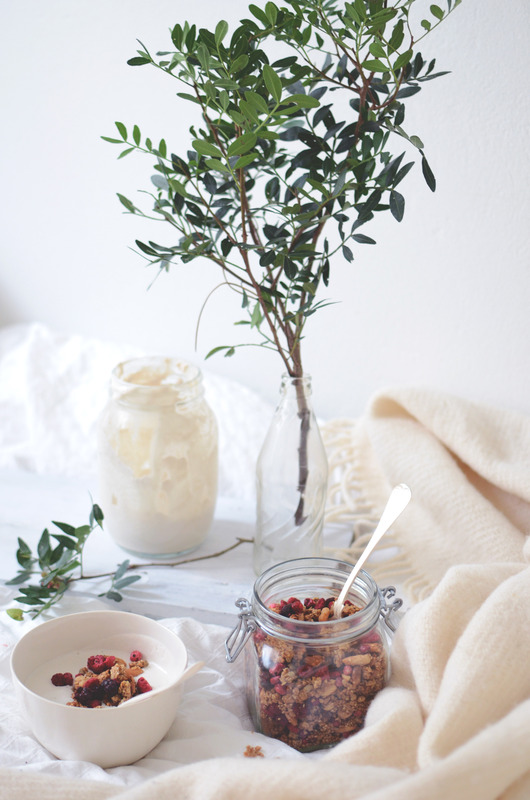 The recipe for the lovely amond milk yogurt is at Vanelja! 1. Preheat oven to 200 °C / 400 °F and line a baking tray with baking paper. Mix all dry ingredients together in a big bowl and set aside. 2. Beat the eggs in another bowl until a bit fluffy. Melt the coconut oil at low heat. Add the oil, honey, almond milk, lemon juice and the grated lemon zest to the eggs and beat until smooth. Combine all ingredients and mix well. 3. Pour the batter into a baking pan covered with baking paper. Bake in the oven for about 35-40 minutes, until nicely browned and set. Let the pancake cool slightly and then serve it with orange blossom chia jam. 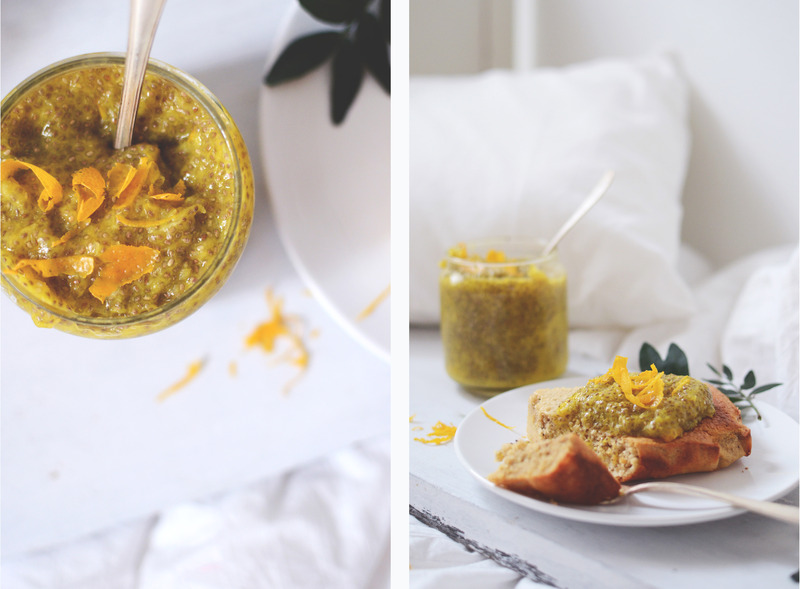 The recipe for the delicious orange blossom chia jam is on Vanelja! You’ll find more breakfast inspiration from my Instagram account! Tagged baked goods, bread, breakfast, granola, jam, juice, pancakes, treats. 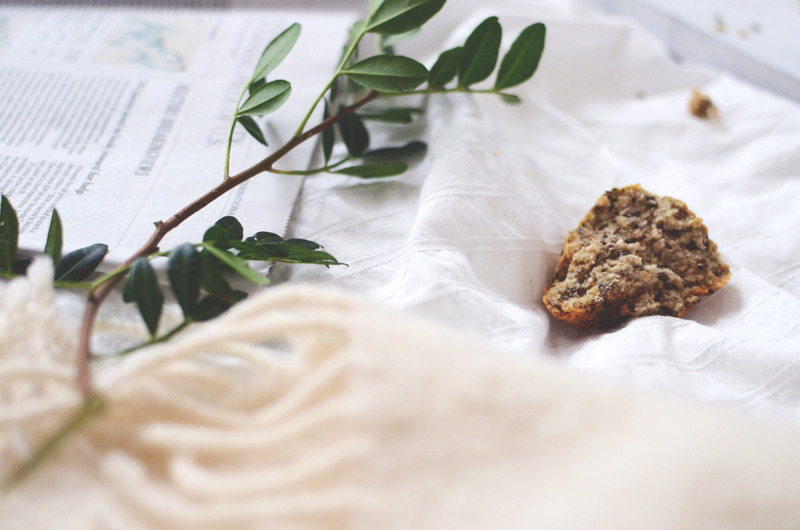 These gluten-free Apple & Date Muffins are full of flavour and they're really moist. No butter or sugar, just ingredients that are good for you! Looking for something crunchy and salty? Look no further and make a batch of kale chips right away! These are so delicious, so addictive, and so good-for-yourself! The simpler, the better. 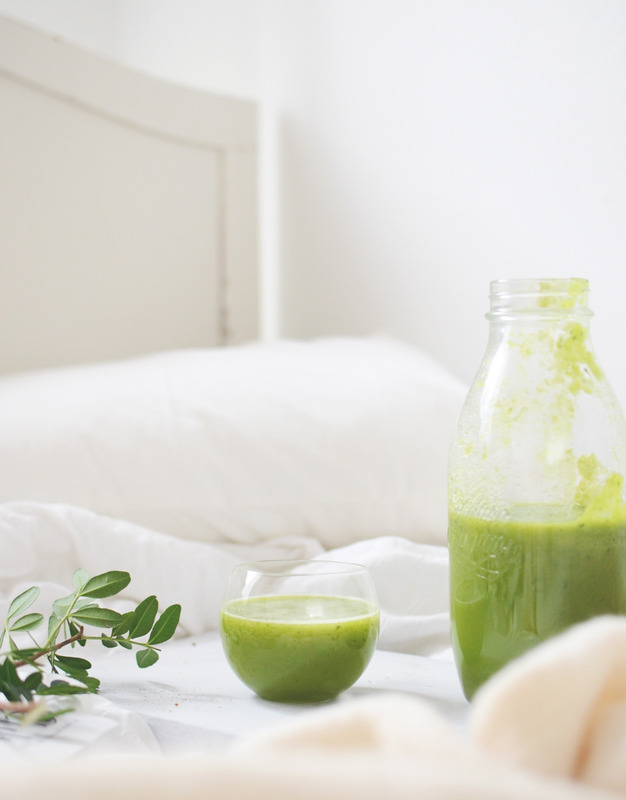 I usually for a fool proof formula smoothies- no need to overcomplicate your life, or a smoothie!